In mid-2011 it was officially named Malaga Airport-Costa del Sol, being located in Churriana since 1919, only 8 km from the city of Malaga, 7 km from Torremolinos, 11 km from Benalmadena, 23 km from Fuengirola and 50 km from Marbella. Briefly, we report on the real importance of the airport in Spain and Andalucia. The airfield receives up to 10 million international passengers a year, 13 ½ million in 2007, and ranges usually somewhere around 12 and a half million a year. These figures place it as the fourth airport in Spain in passenger traffic. Its importance increases considerably in Andalusia, where it is essential for the arrival of international passengers to other Andalusian provinces, since it accounts for 85% of flights of this type, because of its wide variety of destinations. Formerly all air traffic was done completely in the old T1 and T2, but this changed with the opening of Terminal 3 in March 2010. With the construction of the modern T3, the commercial traffic of the above terminals decreased dramatically. For example, today Terminal 1 is closed to the public in favour of energy saving and cost reduction, and Terminal 2 focuses on No-Schengen destinations and flights of some low-cost airlines. Until mid-2012, Malaga airport has always had a single runway to manage all landings and take-offs. With the growth in air traffic and the arrival of new tourists through the airport was necessary the expansion with a new and second runway. The second runway allows simultaneous take-offs and landings, a take-off on one runway and a landing on the other, which was impossible to date. Those looking for an easy transport means from the airport to their hotel or accommodation place will benefit from our airport transfers without advanced payment, just book a transfer online now and pay on arrival, easy and fast. We want to become your favourite airport transfer company in Malaga. If you need getting to the airport on time we can help, we provide vehicle and helpful english speaking drivers. 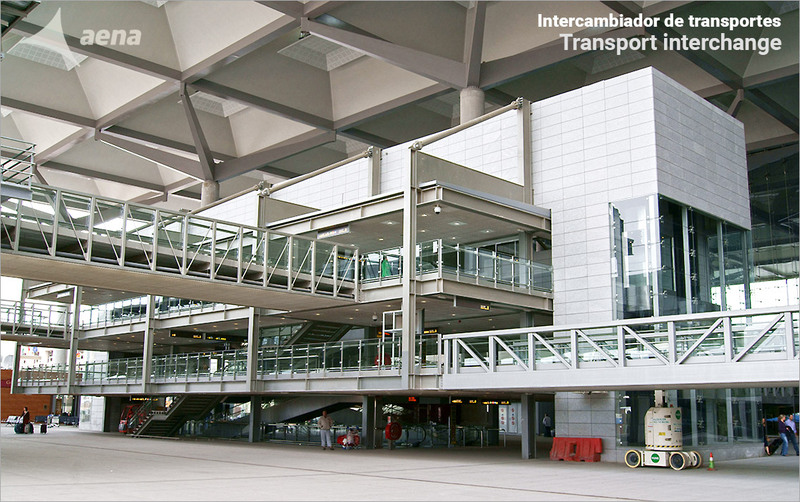 Train: At the exit of T3 is located opposite the commuter train station that connects the airport to various municipalities (Torremolinos, Benalmadena, Fuengirola) and Malaga city. Public bus: At the exit of the T3 there leave also busses with stops at different hotels in Torremolinos and Benalmadena by Avanzabus services; this company also offers busses to Marbella, Estepona and Algeciras. Do you need a private bus in Malaga? The car rental service is a good option if you do not care to drive during your holiday on the Costa del Sol and both inside and outside airport there are multiple companies offering the service with their own advantages and conditions. Private transfers: This means of transport is not as economical as the above and the reason is because of the quality and professionalism of the drivers, the vehicles and the many benefits of this service focused on the comfort and well-being of the client. Do you want to know more about this transfer service in Malaga? The airport has many advantages and possibilities when parking your vehicle. The parking at Malaga airport and nearby car parks can provide a parking option that is well suited to your needs, whether for a few hours, days or long-term, etc. Like previously in the T1 and T2, the Terminal 3 has a range of shops and establishments that provide food, gifts, newspapers, books and other ways to kill time while waiting at the airport. Here you will find stores such as: Adidas, Lacoste, Toro Andaluz, Crystal Media Shop, a pharmacy , Museum Shop, Superskunk, Ferrari, Desire, Adolfo Dominguez, Cottet Sol, Libreria Luces, etc. You also find here the most popular restaurant franchises: Vips, Gambrinus, Burger King, Pizza Hut, Sea Food, Whopper Bar, La Moraga Airport. And coffee shops such as: Starbucks, Caffé Ritazza, Café & Te, Häagen-Dazs, Soho Coffe CO, Four Arrows y Delimarché.